Tri-County Farm & Ranch and W.R.D. Entertainment present the 2nd Annual Ozarks Sports & Outdoor Expo on Saturday, March 30th at the Fulton County Fairgrounds in Salem Arkansas. The Fulton County Fair Association and the Salem Chamber of Commerce have a full day of events planned for all ages. Over 65 vendors will be located in the Salem Civic Center and on the Fulton County Fairgrounds. The Arkansas Game and Fish Commission will have the Fish Aquarium on site and will bring the Youth Archery Range and the Daisy BB Shooting Range to the Kid’s Zone. Other activities in the Kid’s Zone include the National Guard Obstacle Course, Duck’s Unlimited Green Wings activity booth, Face Painting and more kid’s activities are being added daily in the Kid’s Zone. A popular event for the kids is the Fishing Derby for age 4 – 12 years. Sponsors are the Arkansas Game & Fish Commission, Fulton County Conservation District, Leon’s Automotive and “We Have Whatever.” Sponsors will provide $400 in cash awards plus there will be a drawing for all participants for gift cards and fishing supplies from area businesses. The first 200 to register will receive a gift bag. Registration will start at 8:00 a.m. at the Salem City Lake which adjoins the fairgrounds and the derby will be from 9:00 to 11:00 a.m. For more information on the fishing derby contact Michelle Ward at the Fulton County Conservation District at 870-895-3201. Area School Shooting Sports Teams will participate in a competition held at the Fulton County Trap Range, which joins the fairgrounds on the west side, beginning at 9:00 a.m. Salem Auto Supply, Salem Pipe and Steel, Fulton County Democratic Party, State Senator James Sturch, Mike and Sharon Carpenter, and Salem VFW Post 9777 will provide $1200 in prize money for the winning schools. Contact Scott Moody at 870-371-0070 for more information on the Shooting Sports Competition. Razorback Archery will start the qualifying round for the 3-D Archery Shoot in the Walling Livestock Center on the fairgrounds at 9:00 a.m. There will be youth and adult divisions. Contact David Gibson at 870-710-2539 for more information on the archery shoot. Outdoor Cooking will be a part of this year’s Expo. The Arkansas Game & Fish Commission will be demonstrating cleaning and cooking Trout and the Lazy M Chuck Wagon will be demonstrating Dutch Oven Cooking throughout the day. Both will have free samples. There will be four seminars held in the Hickinbotham Miller Exhibit Building with the first one scheduled for 11:00 a.m. The first two seminars will be for landowners and will feature Ben Field, Arkansas Game & Fish Commission Private Lands Biologist, The first seminar will be on Bob White Quail Management at 11:00 a.m. followed by Turkey Management for the Landowners at 11:45 a.m. Ben Field will be discussing programs that offer financial assistance to landowners to improve their lands for quail and turkey habitat and ways to improve the land at the seminars. Private lands biologists are well versed in private lands programs and can direct landowners to appropriate programs for assistance. The third seminar will be on Beekeeping for Beginners. James Rhein, Former President of the Arkansas Beekeepers Association and President of the Baxter County Beekeepers Club, will be conducting this seminar. Keeping honey bees is an increasingly popular activity for both leisure and profit. Rhein will be discussing establishing hives and managing them safely and how to be productive, whether the beekeeper is interested in Beekeeping as a hobby or as a sideline business. The final seminar is for youth and will be held at 2:00 p.m. and will be on “ Youth Turkey Calling.” Rusty Wallace, a local turkey caller, will teach gun safety and the type of gun to use for turkey hunting, types of calls, the importance of practice, and how to make it fun. Wallace will also be giving away several turkey calls at the seminar. For additional information contact him at 870-656-0896. 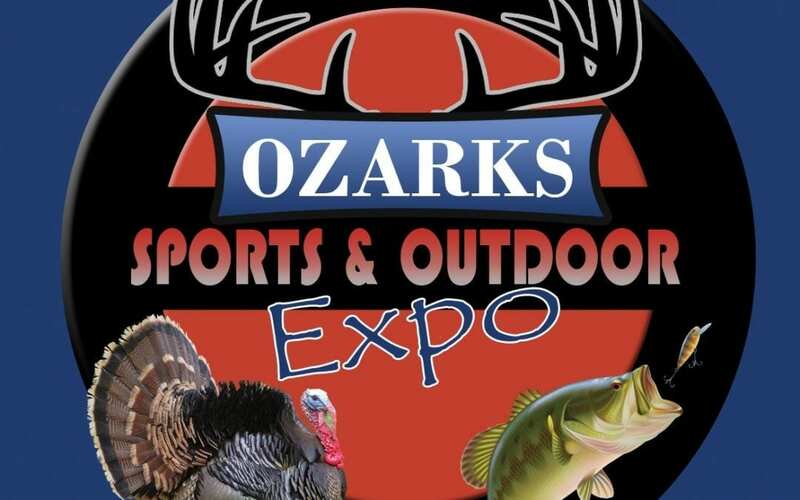 The Ozarks Sports & Outdoor Expo is a family event with free admission and the Kid’s Zone is free. Families are invited to come out to visit with the vendors, attend the competitions and seminars, and enjoy the day. A wide array of food will be available in the Food Court for breakfast and lunch. 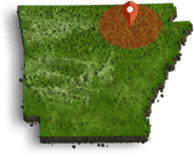 For more information on the Ozarks Sports & Outdoor Expo, contact the Salem Chamber of Commerce or the Fulton County Fair at 870-895-5565.